The first uterus transplant, completed in the United States Feb. 24, 2016, gives hope that the procedure could eventually be a viable solution for women suffering from infertility. Surgeons at the Cleveland Clinic placed the healthy uterus of a recently deceased donor inside the 26-year-old recipient in a nine-hour procedure. Unfortunately, two weeks after the surgery, the patient developed complications and the uterus was removed. While the surgery did not result in pregnancy for the recipient, doctors have a positive outlook for the future. The Cleveland Clinic plans to continue its attempts to complete successful uterus transplants in patients who do not have the ability to have children. Many women suffer from infertility as a result of uterine issues. For instance, Mayer Rokitansky Kuster Hauser Syndrome (MRKH) affects 1 in 5,000 females. The reproductive system begins to develop, but does not reach full maturation. Many women with MRKH do not have a uterus. Other women may have other medical issues that cause them to lose function of their uterus. While these women have other options for having biological children, such as surrogacy, they have no way of carrying their own child. A uterus transplant would make this possible and would change infertility science forever. A uterus transplant procedure has proven successful in the past. In 2014, a Swedish woman gave birth to a healthy baby boy after undergoing a uterus transplant. Three other babies also were born in Sweden after the same procedure. 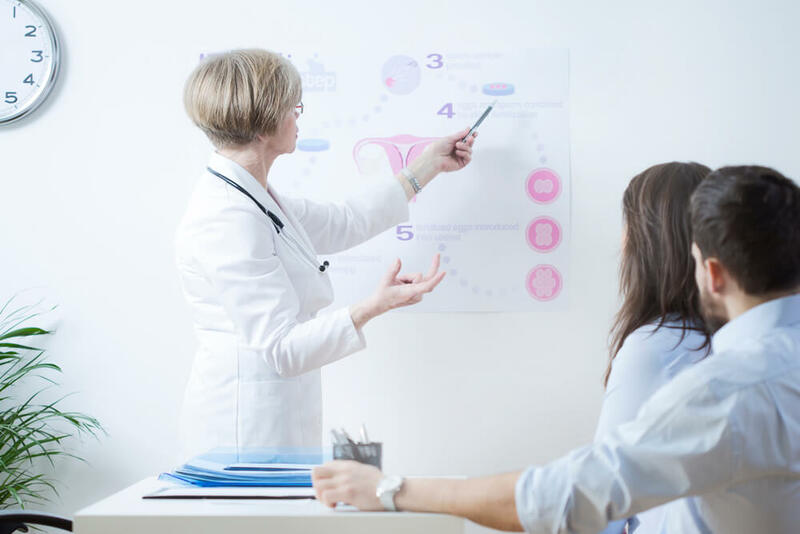 Once the uterus is implanted, the recipient must take medication that serves to weaken the immune system so the body does not reject the transplanted organ. It takes about one year for the body to heal after the procedure, then the woman can attempt to become pregnant through in vitro fertilization (IVF). After one or two babies are born, the uterus is either removed or allowed to die, due to the risks involved with taking anti-rejection drugs for a lengthy period. What Led to the Failure? After the successful operation at the Cleveland Clinic, the recipient developed a fungal infection which cut off blood flow to the transplanted uterus. Two weeks following the initial surgery, doctors had to remove the organ to protect the patient’s health. After this complication, the recipient developed another complication involving her arteries, so she is no longer eligible for another attempt. Even though the first procedure did not result in a pregnancy or live birth, Cleveland Clinic doctors are still positive about upcoming surgeries. They plan on studying the first procedure in detail, then drawing on a pool of nine other potential recipients for the next uterus transplant attempt. Those struggling with infertility may have additional options in the near future beyond what is currently possible. If you are struggling with infertility, consult with the Rocky Mountain Women’s Health Center. Set up a consultation to learn about a possible uterus transplant and the different options available to you based on your medical history and your personal preferences.